It’s been a long time since my last post. This is mainly due to the ridiculously busy summer I have had. The biggest thing was getting married, but the honeymoon, work trips and deadlines as well as working on a few papers kept me pretty occupied. I’m sad to say that blog updates dropped lower on my priority list then I would’ve liked. In any case, I am going to try to get back at it now that life has settled down a bit. Stay tuned for some detailed posts on research, geopolls and other stuff. I am of course always open to guest posts so if anyone would like to volunteer I’d be more than happy to host. 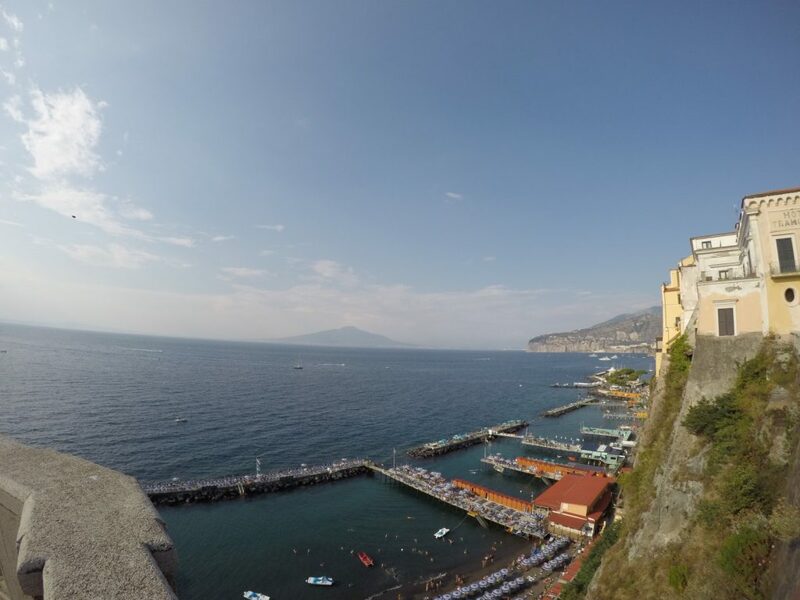 In the meanwhile here is a great photo from my honeymoon on the Amalfi coast of Mt. Vesuvius taken from Sorrento. Maybe I’ll write about Pompeii….just a thought. Hi Matt, congrats on getting married! Given your geo-rich honeymoon location, maybe you could write about the geo-sites you’ve visited while you were on holiday? If you prefer something more specific, your suggestion of Pompeii and Mt Vesuvius is great too. I’d love to read about that!